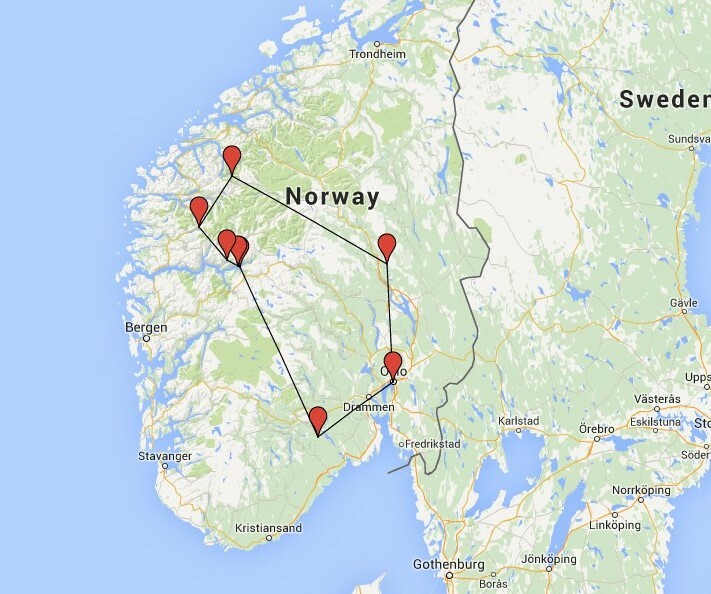 Below is a map of the route we covered through Norway. 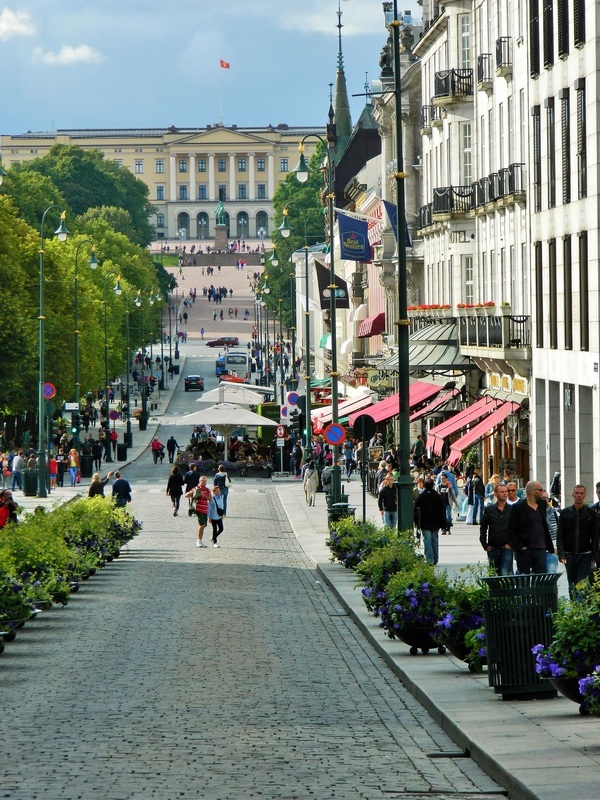 Our tour included visits to Oslo, the Fjords, and Lillehammer...and a lot of beautiful country in between. We actually started this trip in Sweden, which I covered in a different post, so we flew in and out of Stockholm-area airports rather than Oslo. Driving is easy in Norway...same side of the road as we Americans are used to. Mapping out a route and renting a car is a great way to get out of the city and see the pristine and beautiful landscape that Norway has to offer.